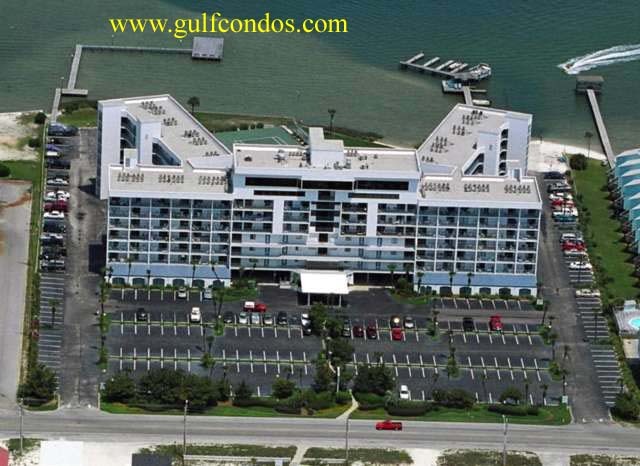 Offering the natural beauty of Little Lagoon in addition to a private beach on the Gulf of Mexico. This newly renovated complex offers 1 & 2 bedroom condominiums perfect for families. Beautifully landscaped grounds with amenities including two lighted tennis courts, shuffleboard court, volleyball area, children's wading pool, hot tub, and picnic areas. A private boat ramp offers watercraft access to the lagoon and gulf. Public restaurant on top floor. Seven story w/ elevator.